Retreads tells the middle of the story begun in Thundering Sneakers and concluded in Sneaking Out. 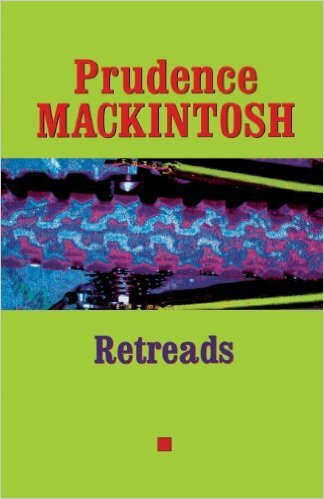 In this collection of essays, Prudence Mackintosh follows her sons through the “tween” years between little boyhood and adolescence. Vividly portraying the chaos that descends on a house full of active children, she also records the many first times and last times that give poignancy to the middle years of motherhood. A contributing editor of Texas Monthly magazine, Prudence Mackintosh is a popular author and public speaker, whose commentary on family life, schooling, Texas women, and Dallas architecture has also appeared in such magazines and newspapers as McCall’s, Ladies Home Journal, Redbook, D Magazine, Parenting, and the Dallas Morning News. She lives in Dallas with her husband, John A. Mackintosh, Jr., with whom she looks forward to completing the conversations interrupted by their sons thirty years ago. SKU: 978-0292752702. Categories: Prudence Mackintosh, Books, Product Type.